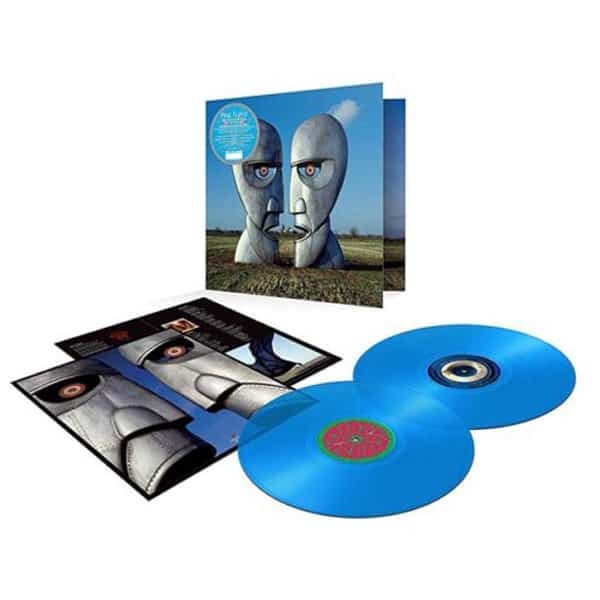 Warner Music Group in association with Pink Floyd Records is releasing a 25th anniversary edition of ‘The Division Bell’, the band’s 1994 multi-million selling album that included the Grammy Award winning track Marooned (Best Rock Instrumental Performance) on June 7th. This Limited Edition 25th anniversary edition will be available on translucent blue vinyl (echoing the original limited blue vinyl release in 1994). ‘The Division Bell’ was the last studio album to be recorded by the band: David Gilmour, Nick Mason and Richard Wright. The album debuted at No 1 in the UK, the USA, Australia and New Zealand, staying at the top of the US charts for 4 weeks; it also went to No 1 in six other countries and, to date, has reached total album sales of over 12 million. The album was recorded by the band at Astoria and Britannia Row Studios with the majority of the lyrics being written by Polly Samson and David Gilmour. ‘The Division Bell’ contains Pink Floyd’s only Grammy-awarded track, the instrumental ‘Marooned’. A video for Marooned was made for the 20th Anniversary Immersion release of the album and has now had almost 25 million views. ‘The Division Bell’ sleeve artwork was the first Pink Floyd image to be featured on a Royal Mail stamp, in an issue of ‘Classic Album Covers’. The iconic album artwork of the two huge metal heads in profile talking to each other (and in turn, creating a third forward facing head) was provided by long-time Floyd collaborator Storm Thorgerson.